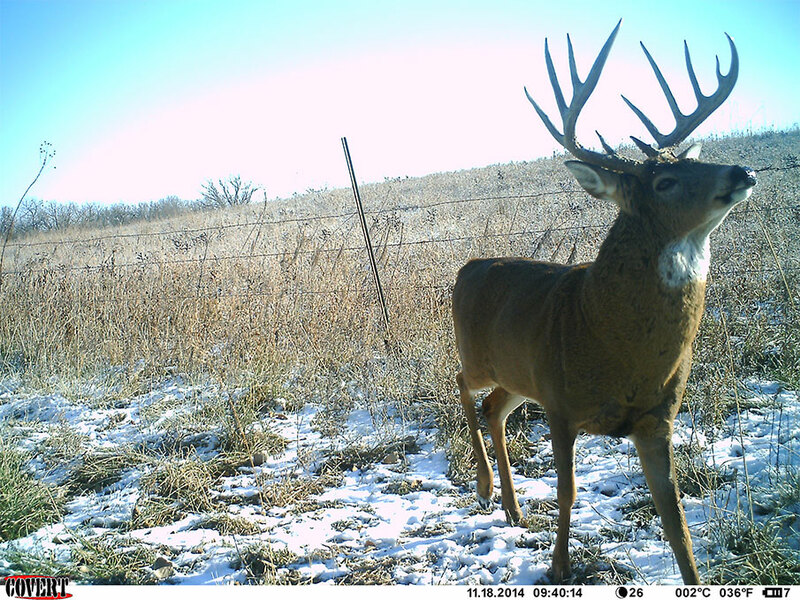 One of the most valuable tools for a deer hunter in the last decade has been the trail camera. No single device has put more hunters on bucks each and every year. With the time constraints of everyday life, it’s pretty nice to have your own personal scouting assistant in the field 24/7. That’s the easy part about having a trail camera. The hard part is selecting one that best fits your needs, expectations, and often, budget. From infrared (IR) to black flash, and time lapse to high-definition video, the features are almost endless in today’s trail cameras. Especially considering it wasn’t long ago that you had to pull a 35mm film roll from the camera and take it to the store to get developed, not knowing if a giant buck or raccoon was on it. Nowadays, with digital SD cards up to 64GB, we rarely even think about a “limit” of pictures on a camera. If anything, it’s the never ending battle with batteries! All that aside, when you walk up to a store shelf or surf online stores, there are so many options, features, and brands, that it is difficult to choose. I am without a doubt a camera junkie. I could not tell you how many are in my closet that I haven’t used in a long time. Let’s just say, at times I feel like I probably have significant stock in certain companies because of how many I buy each year. That said, I have used them all. From features to brands, I have had great luck with a lot of cameras, but also some terrible luck with others. I am not going to “bias” your purchasing with my experience; however, I will advise with some standard purchasing pointers. First off, you get what you pay for. If you think a $50 camera is going to last multiple seasons, then you are sadly mistaken. That company would go bankrupt. I’m not saying you have to go out and spend $500 either (although I may advise you to do so a little later), but just know cameras are no different than other standard consumer electronics. How is that Black Friday special TV doing? I want a camera that does more than just take pictures. During the rut, video mode is a must for me. The sights and sounds of the woods are amazing. But more importantly, if a chased doe blows by your camera triggering it, immediately followed by a buck, odds are you will miss him (or most of him). Video mode lets you capture that important 15-30 seconds after the trigger. A must for me. I am not concerned with the whole IR versus black flash. I use both and although there is for sure a difference, the IRs actually take much better pictures at night (for me at least). There is more light captured by the lens, brighter images, and usually less motion blur (because the shutter closes faster). You can expect to pay $150-$250 for a really solid trail camera that will last multiple hunting seasons. However, I will leave you with a more expensive option. I have become addicted to cellular trail cameras. Waking up each morning and seeing pictures sent directly to my phone is unreal. It’s also the most painful thing during hunting season as I sit at home and watch a shooter go past my stand! These can cost $350-$600 with the data plan involved, but if you are a remote landowner or lessee, it’s without a doubt a great investment.